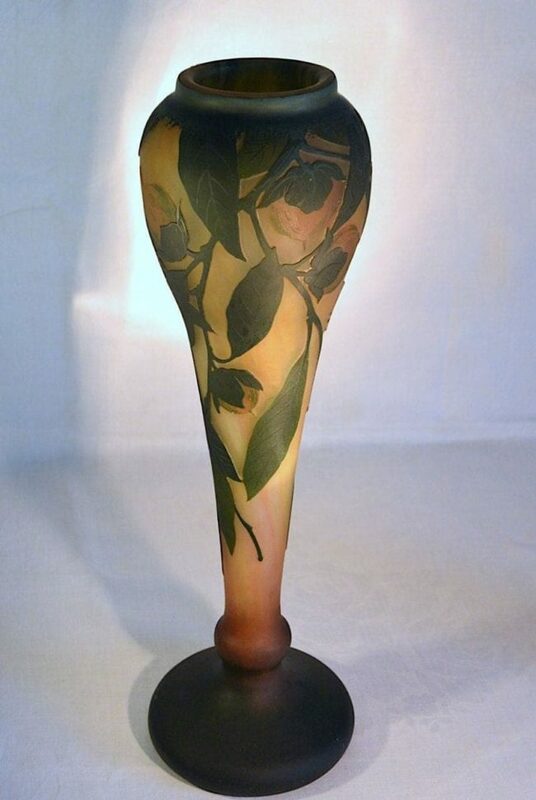 A large vase with a decoration of “Mirabelle”. Clear glass with orange and yellow glass powders, etched and wheel carved leaves and orange fruit. See: the collection du musée des Beaux-Arts de Nancy, no. 414. If you have any questions about this product, please feel free to ask them via the form below. Wenn Sie Fragen zu diesem Produkt haben, können Sie diese gerne über das untenstehende Formular anfragen.